I think almost every food blog has a granola or museli recipe and I have quite a few of them pinned to my Pinterest 'Breakfast' board. I can never resist reading a granola recipe, but despite reading lots and lots of recipes, I'd rarely find that one that was perfect for me. And I think that's the thing about muesli, you have to play around and find your own signature version as no-one else's recipe will ever completely tick all of your boxes. 1. Start with your preferred base. I mainly use use oats, I am the nOATbook after all! But you can also use quinoa, quinao flakes, chipped coconut, puffed millet, puffed amaranth, wheat germ, puffed buckwheat or raw buckwheat... you get the picture. I think a combination of two works well, I like oats and chipped coconut. Whole grains provide a nutritious base full of fibre, essential vitamins (especially the B group) and minerals to kick start your day. You will need around 4 cups of your selected base. 2. Build it up with nuts. Select your preferred nuts; use as few or as many types as you like. The addition of nuts not only adds crunch but they also increase the protein count which will help keep you full through to lunch. Two cups of nuts works well. Use one cup of the nut you want to be the primary flavour and the second cup can be a mix of other complimentary nuts. 3. Boost it further with seeds. 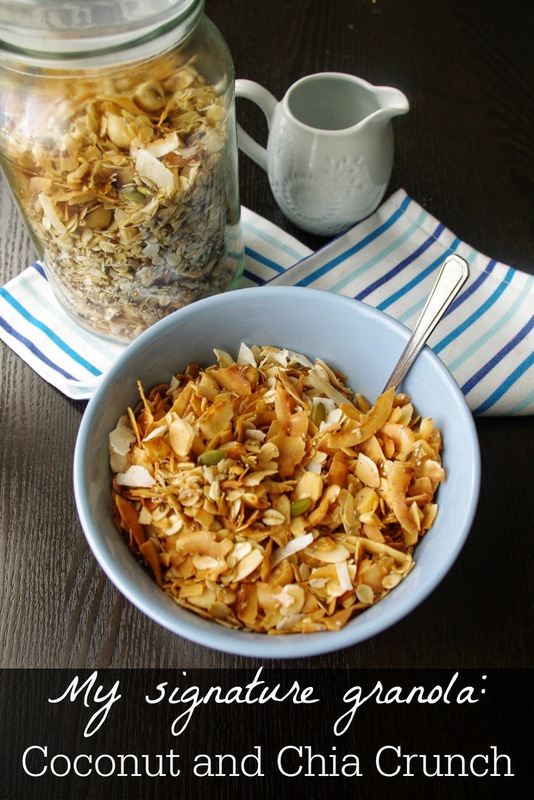 Seeds add crunch, texture and further lift the nutritional profile of your granola. I usually include sunflower seeds, pumpkin seeds, buckwheat grouts (yep, they're a seed), flax seeds and chia seeds. 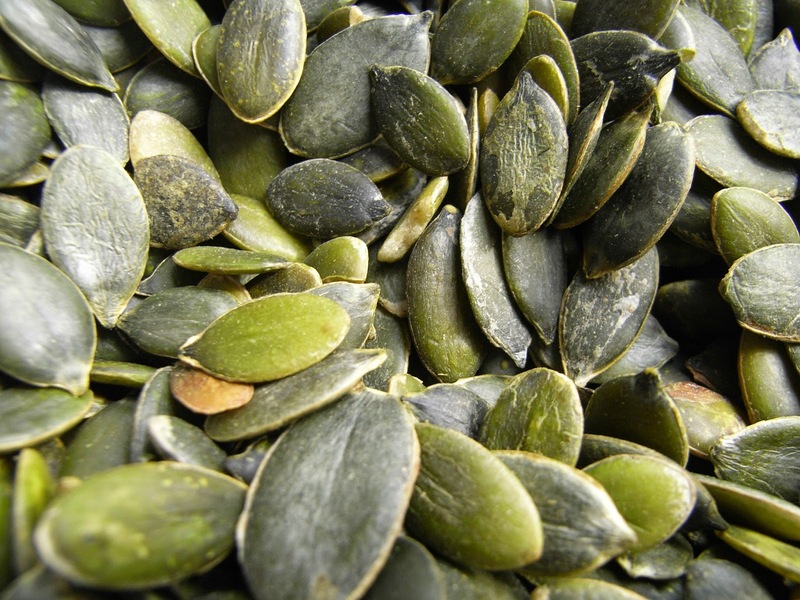 I also love to use pepitas as I like the green colour they add to the mix. I use about 1 cup of seeds; 1/2 cup of my preferred seed and 1/2 of mixed seeds. This will usually be dried fruit. I try to avoid sugar at breakfast as it is the one time of the day when my sweet tooth doesn't have a direct pathway to my brain, but most granola will contain some dried fruit. 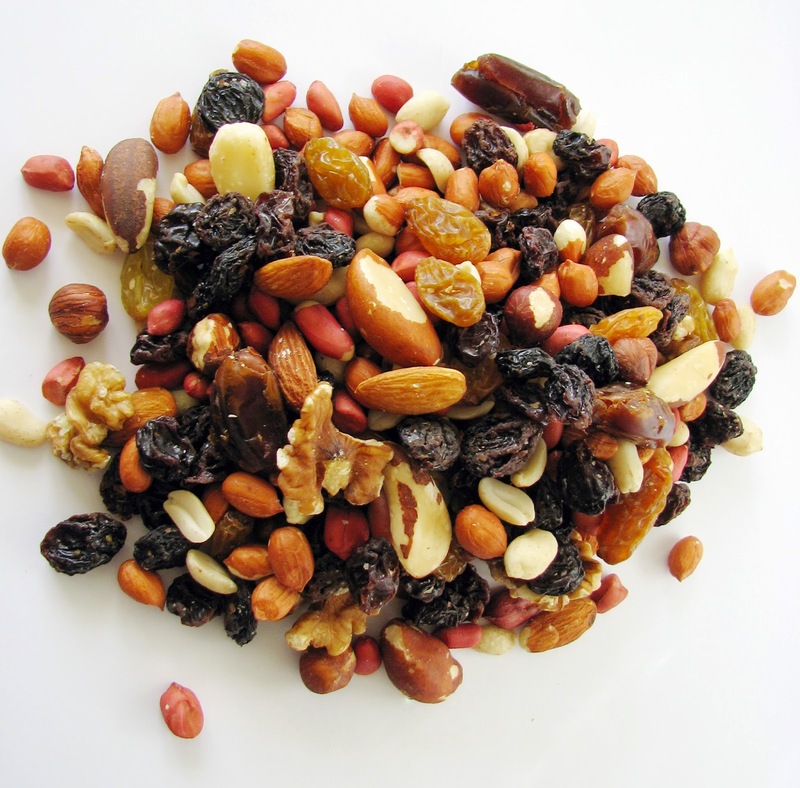 Sultanas, dried apricots, dried apples, dried cranberries, prunes or dates all work well. I'd suggest using only one or two fruits so that you don't overwhelm the granola with different flavours. Use 1 to 1 1/2 cups of dried fruit. The key to making a crunchy granola is to toss it in oil and cook it in a thin layer in a low oven. I am a big fan of using coconut oil. My next choice would be macadamia oil. Melted butter or rice bran oil also work well. You will need to use 1 tablespoon of oil per cup of base i.e. 3 cups of oats, 3 tbsp of oil. Honey and maple syrup are the classic choices used to sweeten granola. Agave, golden syrup and molasses are other options. Use rice malt syrup if you'd like some sweetness but want to keep it sugar free. Don't be afraid to omit the sweetener, I don't use any in my granola and if you are using dried fruit you can easily get away with not adding any further sugar. Start with 2 tablespoons if you like it a little sweet. 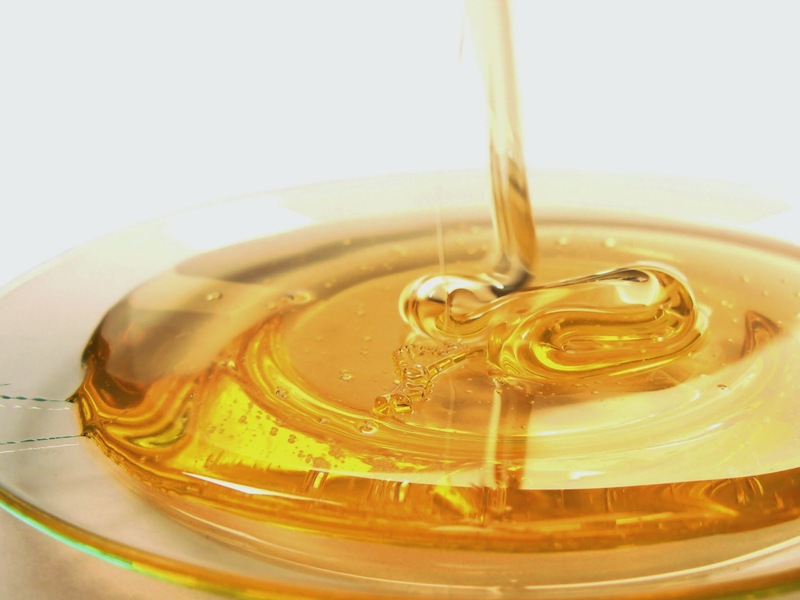 It is best to melt your sweetener and oil together before mixing it with your dry ingredients. Cinnamon, vanilla essence, nutmeg, ground ginger or ground cardamon can all enhance the flavour of your granola. 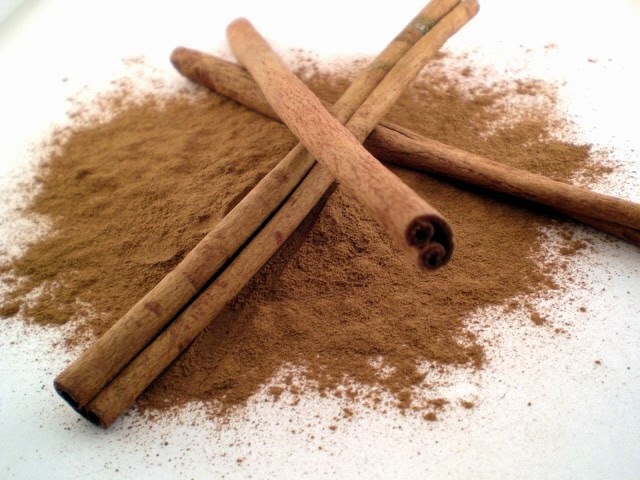 My favourite, cinnamon, will not only enhance the natural sweetness in your ingredients but it will also help to regulate your blood sugar levels. 8. Finish with a surprising flair. 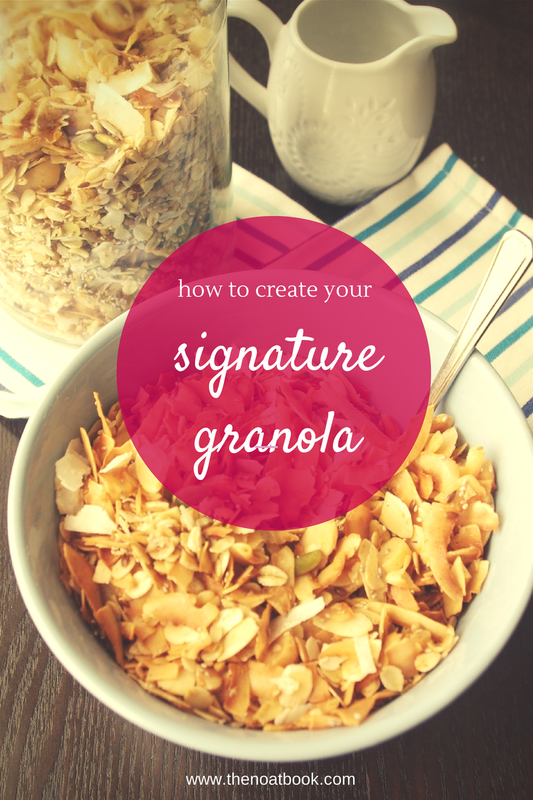 Pick two or three of the main flavours to include in your name and you now have your signature granola. Mine is called 'Coconut & Chia Crunch'. Serve with milk or yoghurt and add some fresh fruit on top. Spread mixture evenly over tray. Bake in oven for 20-25 minutes or until golden. You may need to move granola from the outer part of the tray to the inside of the tray at the halfway mark to ensure it cooks evenly. 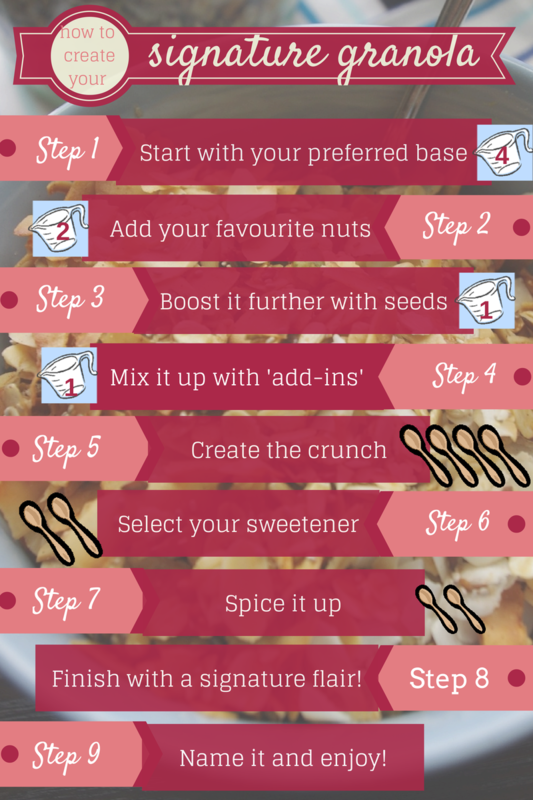 I'd love to hear your favourite granola combinations! Yum! I've never made granola before. I think I need to start experimenting and make some on the weekend. Gotta keep the protein count up or I am snacking all the way to lunch! I love this as a snack with Greek yoghurt as well. 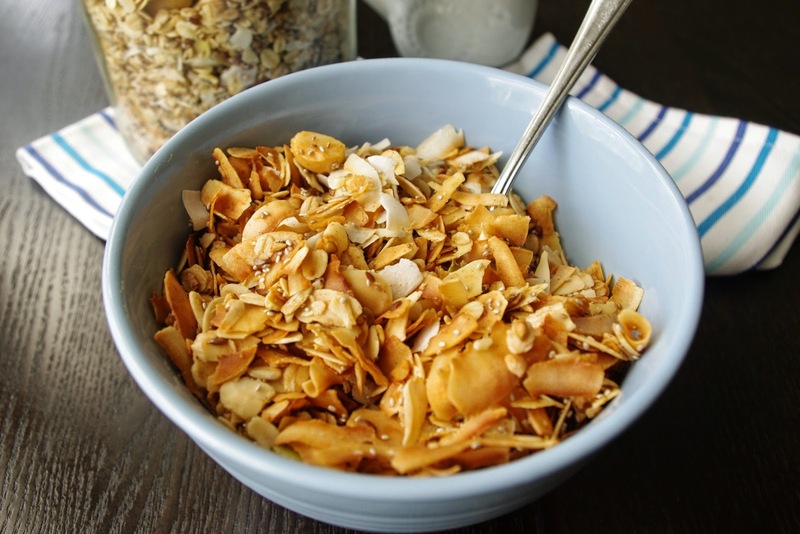 If it ain't crunchy it ain't granola - I really like the the crunch and taste that comes with using coconut oil. Fantastic, if you do have a go I'd love to hear what you come up with! Thanks Renee, I hope she finds it useful. Thanks Jess, it is a pretty good combo! Enjoy Father's Day, maybe you could make some granola for a present!! Ole the combination, but there's no reason why I can't make my own! Thank you. It's fun throwing random things you find lurking in the back of the cupboard together and coming up with a golden crunchy breakfast - all with 5 mins prep! Oh heck, this looks delicious! I really need to whip up a batch of my own too, it might even inspire me to actually eat breakfast every day! Im a new lover of granola but have never made it myself before but you've made it seem so simple! I'm just about to make some - very excited!